Batman first swoops into the lives of his legions of fanatical fans, many of whom often grow up to hold positions of power and influence in the real world, in Detective Comics #27 in 1939. The Boy Wonder (Robin) makes his first appearance in Detective Comics #38 a year later. The duo appears on TV in 1966 on ABC’s popular and trendy Batman TV series. Adam West stars as a slightly comic Dark Knight fighting crime every week in the form of arch criminals, like Penguin, Two-face and the Joker, and their nefarious plans. Frank Miller’s stoic depiction of an aging Batman in his 1986 graphic novel Batman: The Dark Knight Returns creates a beloved Batman character reminiscent of Metal Gear Solid’s Solid Snake, questioning his role and ultimate fate in the world he sees before him. Michael Keaton recreates the Caped Crusader in Tim Burton’s 1989 Batman film for hungry fans who would flock to several sequels to get a taste of the gothic darkness first portrayed in Batman comics. Batman first appears in animated form in Batman: The Animated Series in 1992, created by mastermind Paul Dini, Batman: The Animated Series sets the bar high for future Batman characters with intelligent and well written story driven cartoons. Director Joel Schumacher and actor George Clooney reprise the Batman role again in 1993’s Batman and Robin, a production firmly disliked by hordes of normally adoring fanboy fanatics. A creative vision that was not enjoyed or shared by many Batman fanatics, but one that certainly has made its mark in history. The Batman legacy is resurrected again by director Christopher Nolan in 2005 in the first feature film which embodies the essence of the Dark Knight’s deep and troubled life, Batman Begins. Impatient fans would sit quietly anticipating the arrival of the sequel to Batman Begins, The Dark Knight, which opens to record-shattering crowds of adrenalin filled fanatics. But Lego Batman: the video game? This thought flashed across my synapses as my eyes fell on the title on the video screen. Convincing my index finger to flex and click the Buy Now link was an impulse buy. But you don’t play a Lego game for the story; you play it for the good old devilish pleasure of destroying things. Travelers Tales delivers satisfaction of a destructive nature in Lego Batman, the fifth installment of a Lego-formula, lovers of previous Lego games and fanatics of the Dark Knight will enjoy. Batman and Robin go into action immediately in Lego Batman as a group of Batman’s arch enemies have escaped from Arkham Asylum. This maniacal mob of criminals masterminds are having their way with Gotham City, creating just the kind of fear and hysteria that results in a Bat signal hanging in the sky above Gotham, calling the Caped Crusader and daring Boy Wonder to the scene. Lego Batman has a simple story that unfolds in 18 different locations, each with two separate areas to explore and romp in. The myriad cast of characters you play through the six acts of the story make for interesting wanton violence that should keep you glued to the screen for a few days. Lego Batman’s simple premise of beating enemies senseless is a pleasure, no matter which side you play. The character representations are flawless Lego models of treasured comic book heroes and villains, but Gotham City itself isn’t made of LEGO’s. 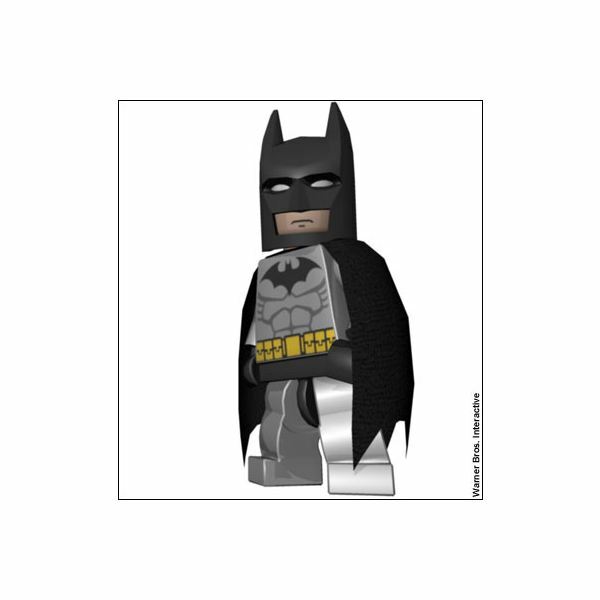 Graphically Gotham is dull and listless looking, despite being non-destructive and more realistic looking than LEGO representations. Travelers Tales can learn a lesson from this and with the next effort give the non-LEGO environment of the game a little more detail. This would have increased the enjoyment factor of Lego Batman by a level or two. The sound quality is OK, but the sound effects are definitely from earlier Lego games. The actual soundtrack though is from Warner Bros. 1989 Batman movie, which while being a pleasant surprise is a mystery. Why didn’t they use music from their other Batman movies is the question? It would have made Lego Batman a better experience considering you’re subjected to the same songs over and over, which meant the music usually had no connection to the action at the time. Lego Batman is easy to play as the premise is simple with Lego games, the variety of characters and their individual attacks and strategies being the meat of the game. The first three acts you play a predictably stoic Batman or goofball Robin. There’s no option for playing the bad guys during these acts, you’ll get a chance later. Batman and Robin each have a number of powered suits with unique abilities, like Robin’s magnetic boots that allow him to walk up and over metal walls and Batman’s glide suit for traveling across long distances. The last three acts you get to take a walk in the boots of the myriad cast of villains assembled for Lego Batman. Using each villain’s particular skill set and specific attack makes Lego Batman a pleasure to play as each villain’s individual plan to rule the roost. 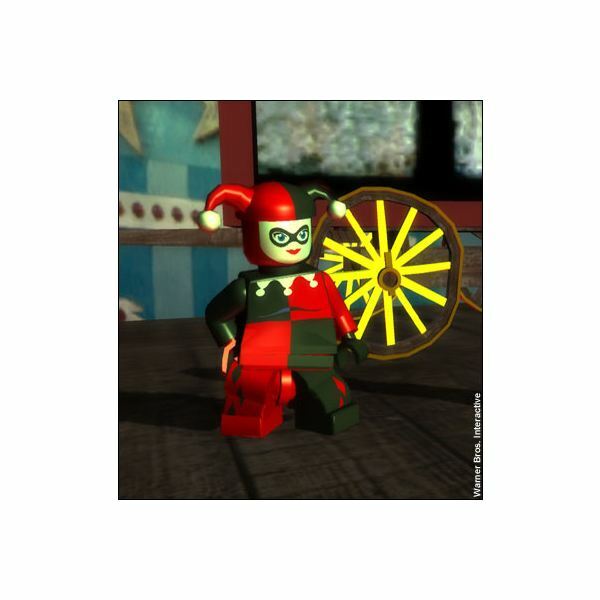 In addition, Lego Batman includes multiple unlockable heroes and villains who can be useful while replaying levels in Free Mode. Play as Nightwing, Batgirl, Man-Bat and Hush, of recent comic book fame. Essentially another layer of playability within Lego Batman, these unlockable characters are essential to finding all the hidden items on each level. Lego Batman is enjoyable at first, but can quickly become monotonous if you don’t enjoy beating enemies into submission. Replaying levels multiple times is only useful for unlocking characters that can be used to get all of the hidden elements in the levels. Beyond this the game doesn’t have much replay value. Batman and Robin are the main characters and Batman’s name is on the title, but the vast collection of villains you can play, steal the show and make the game enjoyable to play. Batman Lego provides the button smashing experience we expect when we purchase a LEGO video game, but not much beyond that. The true gem of this game is the characters and their particular skills, devices and strategies, which make the game a true pleasure. The AI is cumbersome and frustrating to deal with at times when teamwork is necessary to go forward. At times you may find yourself screaming at your idiotic partner on the screen and trying to get him to stand in a particular spot to help you solve an illogical puzzle.